This colorful, crunchy, and unique salad contains no lettuce, and is primarily made of root vegetables. A mandolin is use to slice the beets and radishes very thin, and a vegetable peeler – it needs to be sharp – is used to make ribbons out of carrots and asparagus. Be careful when cutting the vegetables! A quick chill in ice water will keep the ribbons crisp and will help curl them up. For best effect, use the most colorful produce you can find. 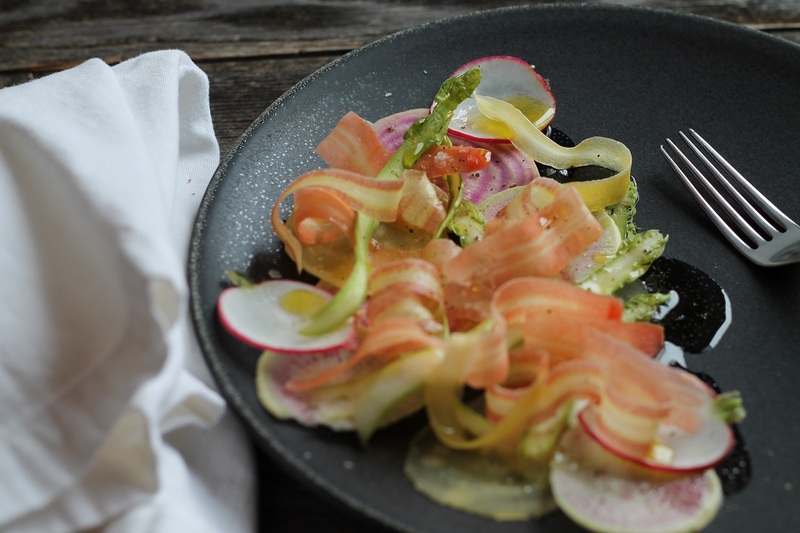 Chioggia beets, also known as candy stripe beets, as well as rainbow carrots bring a pop of color to your finished plate. Regular beets and carrots would work just fine as well. 4-6 rainbow carrots, scrubbed and in needed lightly peeled. When beets have cooled to room temperature, compose the salad onto serving plates. It is composed as you are plating directly onto serving plate and not tossing in a bowl. Throughout this recipe I’ve said to use your best extra virgin olive oil. This salad is the perfect use for it, the simple ingredients really shine when paired with good quality oil. Crunchy, sweet, sour, vegetal. 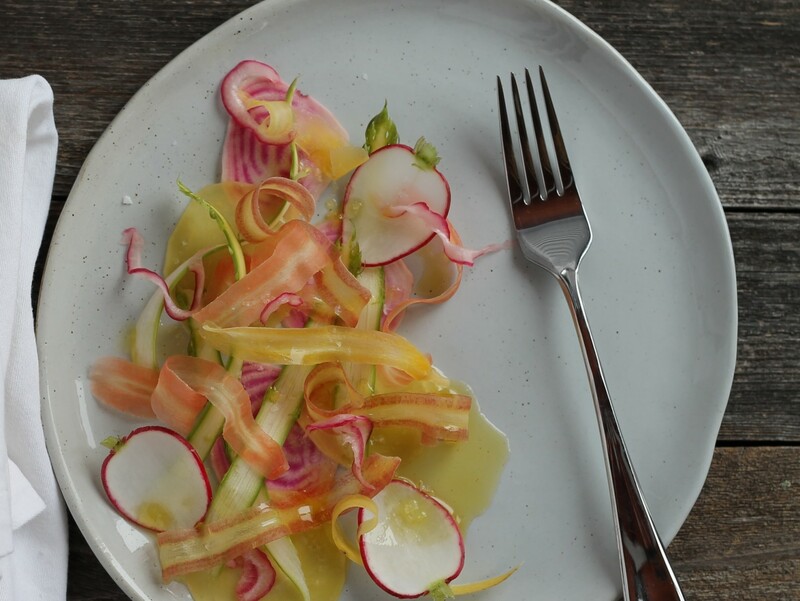 This salad is a perfect to start to an elegant spring meal. that is beautiful. i cant wait for beets! It was pretty! Early season beets would be awesome in this.